When you have a film festival coming together in historic Woodstock, New York, you can expect a low key atmosphere, some excellent independent films, key appearances by artists, some of whom have become celebrities due to their extraordinary contribution to the world of art, hard work, and not just for the sake of fancy, which the general public so often falsely assumes. This year even musical performances added to the spirit of tradition and ease, lifting the community with its heritage leaving a mark that somehow preserved the real core of art. Unlike film festivals like Tribecca in New York City, the atmosphere at Woodstock always seems intimate and casual. After all, values and traditions originated from here, which to some degree caused our generation to come into being! 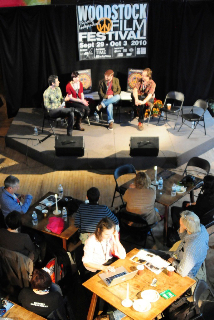 The attendees today are artists who love independent filmmaking, gathering in a charming and vastly creative atmosphere that can pride itself in a historical authenticity. 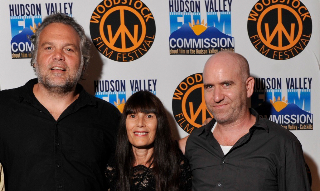 The 11th annual Woodstock Film Festival, which ran through October 3rd, offered a slate of almost 150 films, ongoing discussion panels, live performances and numerous events hosted by the legendary upstate New York arts colony. It’s a five-day film fest and a chance for filmmakers to show their work and make an impression in the rural laid-back terrain. Some of the key features shown this year included Stone, starring Robert De Niro and Edward Norton, and the documentary Freakonomics. I loved this one, as I happened to be an Economist myself. I have a Master of Science in Economics, and an Honorary PhD in logistics, setting the grounds for DHL and FEDEX, and inventing a mathematical formula, which projected a great consternation and frantic expectations onto me, except I myself never got it: what does that even mean to be an Economist? I was once seated in New York City’s Waldorf Astoria’s upscale dinner party hosted by BMW with the Chief Economist of one Investment Company or another (probably bankrupt by now, or as fashion dictates lately, bailed out one way or another) on my right; and the President of the German Bundesbank on my left, and they were both Economists. And, during a long and boring speech I asked both of them: what does this even mean to be Economists? And, they both looked at me as if I was from another planet: “Oh, we thought you were a model! “- was the first reaction! But none of them could answer the question. Not that they did not want to, but they were lost in between something that not even the White House has figured out to this day! And, the other Gentleman said: “Honey, do not be an Economist! You can, with this education be anything you want! An Economist would tell the investment banker what to do, and an Economist would tell the President what to do, and anyone else in finance, but it is the investment banker, and the “everyone else” who will make the money, not the Economist! There are 50 Economists in the entire country of the United States who make any money at all!” he said. Well, this sounded a little disappointing to me at the time. Yet, I was 26 so I just discounted all this as “old men gone wrong in their choices” and looked for the next chocolate covered strawberry plate at the party. I was there for the party in the first place, but when all this turned out about me, I became the center of attention, everyone around me thinking: who in their right mind could possible want to be an Economist? “What are they thinking, these old losers,” I thought! Not that I deep down did not know that what they were saying was somewhat of the truth! But, hearing it from people three times my age made me want to live by the ocean with a dog and a cat! This “ not having a brain is good” thing could by the way be the most inventive slogan for our government today as a form of addressing the rest of us citizens (none-government.) It feels like they assume we will not “notice” a few tricks here and there. 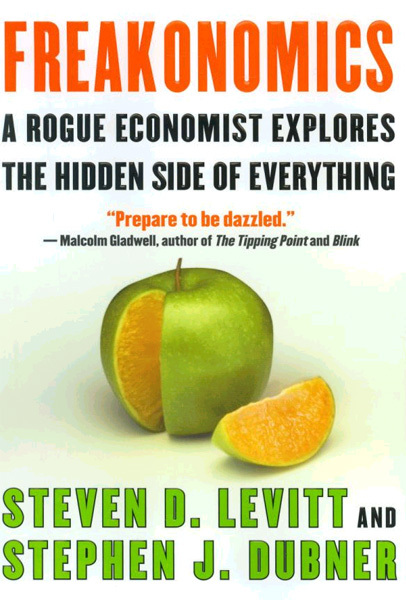 So, what does it really mean to be an Economist? As a student at one of the top Universities in Europe, which we called the “torture chamber,” I knew that it meant endless sleepless nights and getting hooked on cigarettes with gallons of caffeine just to make it through from one bloody exam to the next without sleeping at all. Just for exams ranging anywhere from mathematics into its deepest, darkest, most uncharted territories to a never ending rabbit hole syndrome of some frighteningly freakin’ physics that not even Einstein was at peace with, and continuing onto as far fetched of subjects as the law, the actual legal systems of all societies that required five other books to decode every word in just one of the vast and heavy books I wondered if I had a long enough life to get through at all. The size of just one book could certainly drain a 300-pound man in an average bathtub and had a language that is not even from this World. If men are from Mars, legal language is from Hell for sure! Now, our classes did not end there! It incorporated everything from social sciences, through architecture of a ship, or an airplane, or a vessel of unknown origin, whether it made sense or not, “evolving” all the way into political science, which subject every single student failed whether a total moron, or a higher IQ than the Dean! I detested it with every cell in my body of course. And, having the mouth of a true rebel I made note of my observations! Teachers hated me, students wanted to copy me, others feared me, and guys were chasing me. All of this forbidden thinking created a serious concern about my possible abduction among those who scared for my life, which I thought gave me great immunity overall. If I am to get executed for my point of view, I might as well just let it out. Well, of course all of my beliefs about Economics and all of its politics created a lot of controversy! If there are more than two people in one room there will be friction in the end, such is the law of men! Marx was great, but he missed out because he left out the human element! Smith and Ricardo understood this better. Too bad that politics win out altogether. But, interestingly enough, all that was predicted by Marx! So, after all he was not as big of an idiot as the World in general thought he was with his communistic ideas, etc… He actually NEVER wanted communism, he got simply misjudged by a number of idiots early on due to a complete misinterpretation of what he actually meant! But, in the end, as things are going now, he proved himself right. Not that I will ever agree with anything remotely communistic or socialistic! But, what is happening today is what Marx talked about! What a shame! This is not what we expected, is it? We had a “tea party thing” going already 30 years ago, except it was not tea, but wine, and there was no party, but a few bright, unspoiled (unbrainwashed) students who just thought that anything government planned did now work! NOBODY needs to be an Economist to know that! But, everyone needs to be smart enough to not buy the centrally planned, well, it used be called economics, but today it seems that we have a centrally planned everything. Never mind that it will never work! Not only it is far from human nature, but it is also irrational. It is just pure politics and who kisses up to whom, but with a street smart mind, which I believe most of us have, with or without any formal education, WHY under the sun would any government bail out anything or anyone, unless it is for pure human needs?? Of course we feed the hungry and look at extreme poverties, which are by the way the worst form of violence, but, bailing out large bureaucratic corporations and banks while some die of hunger, or lack of medical attention, is complete insanity to say the lest! How can ANY Economist allow this? Bails like this trigger a chain reaction and the situation will only get worse. Excuse me, but we are having things twisted around here and not just a little bit! But, quite a LOT and, this has NOTHING to do with being a D or an R. Nothing at all! It has to do with plain politics and dare I say: stupidity? Because in the end there is more consequences to ego games, power and “cute moves” than just politics. It will crumble down to plain stupidity! Not that the players do not get it in the end. The problem is they get it ONLY in the end. This entire subject is the length of a book, so for the sake of the festival, let us say no more! Well, the funny thing is that all this political science crap is something that politics practice every day for better or worse! The fact that these days it is happening for the worse kind of pokes the eye, so no comment is needed there! Because collectively “they” who run the government and through it everything else, well, quite literally just do not have the faintest idea of what they are doing! God save America! This time we mean it, because Boy if it is not going to be God, there is not one inch of hope we can cling to. Thankfully this article is about the film festival, otherwise I might want to get into the other fashionable subject these days, which is the media telling us what we should think! And, interestingly enough these are the biggest news channels out there. They have “analysts” now who tell “our lost and certainly ignorant souls” how to interpret the news because we all seem, what stupid? Because we really cannot figure it out for ourselves, or? Just like in a centrally planned economy: the government thinks for us, God bless them and they could not care less if we do not agree with them! After all, who are we? The people? It seems as if that was not enough credit for them to listen to us and not just talk. The media telling us WHAT to think and HOW to have the “right” view on everything while they belong to entertainment companies! So are we now in the business to create sensation, rather than plain facts? Oh, no, that would not occur to an entertainment company at all, would it? This new headline news called “Keeping Them Honest” is just hilarious! I love the title. By the way, just on the side note: how do you keep “them” honest? What does that even mean? How do you exactly “keep” anyone honest? With words that touch the soul? As if anyone gave a flying Eagle about that — too many lies went down in the past few years, so touching the soul is kind of not working that well these days! Or, with the District Attorney, or with a gun, or temper tantrums, threats…, everyone talking over each other at the same time in an interview to the degree that it is painful to watch? Just please tell me how you keep them/anyone honest? Well, it must be a rhetorical question because the fact that this “line” has even been invented implies all by itself that nobody is honest! Or, is it just the next sensation? You got to be kiddin’ me. Sorry, I just do not get it, and in my opinion it is all, well, let’s use a sophisticated word: rubbish! On the other hand I might be out of my mind because I just saw Anderson Cooper in a bunny outfit talking to a bunch of monkeys ( literally ) in a laundry room on the news called “Keeping Them Honest! ?”AND, the worst part is that I was not drunk, or under any influence of any kind, which I have never been to start with, but all this was actually happening on a NEWS CAST TV program on CNN that is supposed, I guess, to be on top of everything by “Keeping Them Honest!,” which inventive title most people would be actually taking seriously! And then the host shows up in a bunny suit in a laundry room trying to communicate with a bunch of innocent, but I bet more intelligent bunch of monkeys than the crew behind the “Keeping Them Honest” invention! Not that it was a shock to me! A “shock” would not describe it! It was more like the final countdown! Something that leaves you speechless and simply there is nothing else to say! You just wonder who is the one who lost it altogether completely! God Bless Everyone! To where are we going exactly with this attitude? Arrogance is not a solution and if we are at the point where we need to keep “them” honest, we are past the point of no return! Luckily we got some honest and straightforward artists, who are not interested in politics! 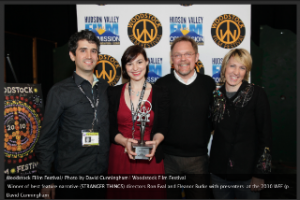 Academy-award nominated writer/director and Woodstock resident Ron Nyswaner (Philadelphia), and award ceremony presenters at the Woodstock Film Festival honored film in both narrative and documentary categories are exceptional creative artists. The Lee Marvin Award for best narrative feature went to Stranger Things, directed by Eleanor Burke and Ron Eyal, while Marwencol, directed by Jeff Malmberg, received the award for best feature documentary. Stranger Things tells the simple story of a vagrant who breaks into the home of a young woman’s recently deceased grandmother. It’s a small-scale story portrayed sensitively by fine actors depicting broader themes of responsibility, loss and community. Marwencol depicts the physical and psychological recovery from an attack by five men outside a city bar 10 years ago that results in brain damage for one of the locals. Among the award winners determined by the audience were Grace Paley: Collected Shorts, directed by Lilly Rivlin as Documentary Feature. According to the festival’s description of the film, the documentary recounts the story of Paley, an author and activist, and includes interviews with her daughter, granddaughter, and a wide range of fellow writers and activists. The Audience Award for Narrative Feature went to White Irish Drinkers, with Inuk as the runner-up. White Irish Drinkers, directed by John Gray, tells the story of brothers trapped in blue collar Brooklyn, circa 1975. 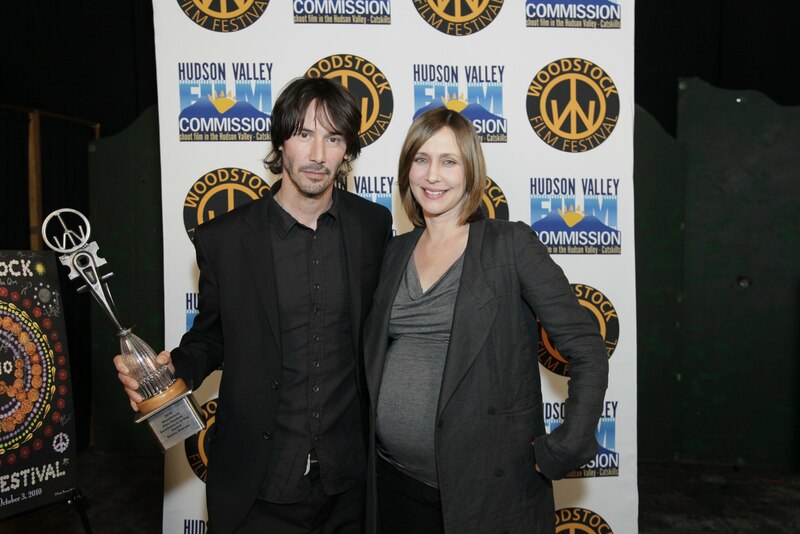 This year actor Keanu Reeves was on hand to receive an Excellence in Acting award, appearing with Vera Farmiga. 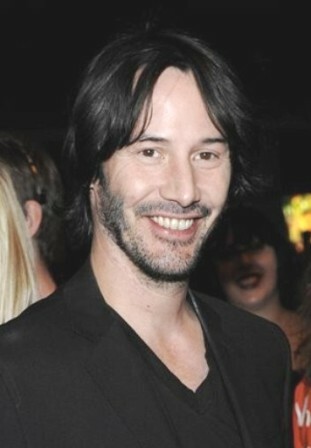 Reeves acted but also produced his new movie, Henry’s Crime, which although got an interesting story line I did not have the privilege to see. Other actors who showed up to enjoy the creative atmosphere were Danny Glover and Edie Falco. In keeping with its location, the festival typically tips its hat to the area’s musical heritage. 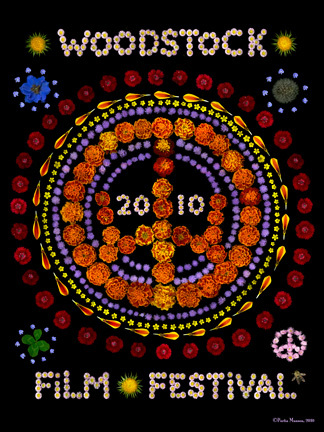 Movies being screened this year with musical themes include LENNONYC about John Lennon’s time in New York City and Phil Ochs: There but for Fortune about the activist folk singer. Other highlights were Friday night’s Fright Night event included the screening of Don’t Go Into the Woods, which was directed by part-time local resident Vincent D’Onofrio, and a question-and-answer session following the screening of Keanu Reeves’ film Henry’s Crime. 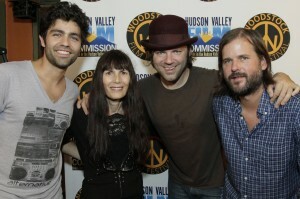 Among other prominent film industry luminaries attending the Woodstock Film Festival 2010 were Adrian Grenier and Tess Harper, and many other talented Indie filmmakers including Larry Fessenden, Bruce Beresford, Bob Berney, Barbara Kopple, Signe Baumane, Bill Plympton, Bingham Ray, John Sloss, and Doreen Ringer Ross. Kudos for those extraordinary artists who do not follow the crowd, but rather crave the pave, no matter how hard, on the journey of making a difference for all!